She is one of the It-girls in the modern world, who constantly inspires women with her feminine style, soft voice and gorgeous physique, and now pussycat doll Nicole Scherzinger has added nail art design to the long list of her talent skills. Letting her fans borrow a piece of her iconic style nail wise, Nicole Scherzinger has inked a deal with imPRESS Press-On Manicure by Broadway Nails to create a limited edition manicure line that has her style imprinted all over. The Nicole Scherzinger spring/summer 2012 press-on Signature Series manicure collection has already managed to receive lots of positive attention, as the diva chose the revolutionary nail art designs by Broadway Nails and infused them with the hottest trends of the season and her style, getting one ideal blend that will pamper your nails to perfection. Known for her bohemian style infused with a contemporary edginess, Nicole has done her best to bring diversity to the beauty scene with her Signature Series imPRESS Press-On manicure collection that is composed of 9 irresistible nail art styles. 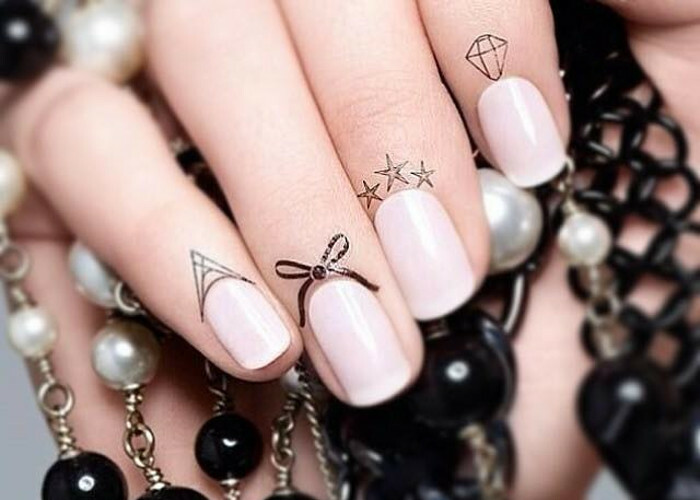 Best of all, these nail accessories apply easily and quickly and don’t require any special beauty knowledge or tools. What you have to do is just peel and apply nails and admire the instant results. Nicole has confessed that she always has to be picture perfect and people are always looking at her hands, so her solution to quick and perfect manicure is the brand’s press-on mani. The new collection, which reflects the best trends of the summer season, will definitely appeal to modern cosmopolitan women, who are too busy to spend hours in a beauty salon on their nails. Neon touches, colorful animal prints, floral motifs and tie-dyes are some of the best options suggested by Nicole’s nail collection. The line also includes a silver star print that features a multi-chromatic midnight blue color and a stylish music notes print design. Nicole has also revealed that she created the collection with her family and heritage in mind, so skim through the line and grab your favorites to get a piece of your favorite singer’s style.